At JR Environmental, we offer a great range of storage systems for recyclable products. We know how to provide you with a quality system that will allow you to property manage and store your recyclable goods, whether it’s for a larger scale industry or for a smaller shop. 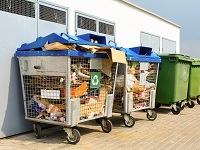 We know that you want to keep your building and properties clean and presentable, which is why we provide systems that effectively store and compact your waste products. With a specialised system, you’ll be able to reduce your contribution to landfill as well as have a secure, reliable location to dispose of your waste. 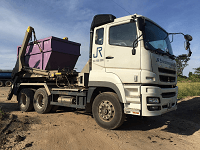 Our range of systems are available for a number of requirements, Including mobile bins, open top containers and cradle bins. 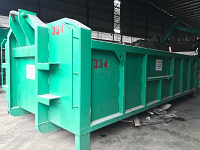 Get all your large recyclables secured well in our selection of storage systems. Our waste management solutions don’t just stop at recyclables. 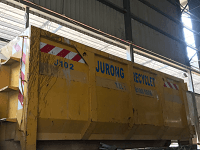 And a team invested in providing Singapore with comfortable and clean cities and suburbs, we provide a number of sustainable solutions to recycling and waste. Take a look at what recyclables we can help you manage, or check out our material recovery facility for separating waste products. 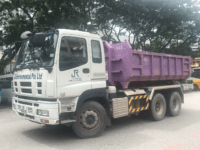 With our team of professionals, you’ll be able get all your disposal problems fixed with ease. We believe in providing our clients with an honest, reliable and convenient service that doesn’t falter. Whether you’re an industrial business needing a large-scale solution, or a smaller shopping complex after a few cradle bins, we’ll be able to personalise our services to suit your requirements. 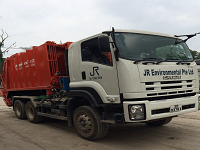 If you want to find out more about our recycling systems or any of our other waste management solutions, contact the JR Environmental team today. We’re happy to answer any questions you have, as well as guide you through what services are right for you.